For only the 13th time in NBA history, the Finals series does not feature a team that was ranked/seeded #1 when the playoffs began. The Cavs were the fourth seed in the Eastern Conference, while the Warriors were the #2 seed in the Western Conference. The last time a #1 seed did not appear in the NBA Finals was 2012 when the second-seeded Miami Heat faced off against the second-seeded Oklahoma City Thunder. The last time two #1 seeds squared off in the finals was in 2016 when the Cavs and Warriors played for the title, the second of their four match-ups. Here’s a look at the 13 times when no #1 seed played in the NBA Finals. This is the fourth straight year that Cleveland and Golden State have faced each other in the NBA Finals. Based on that, you would think that the Cavs and Warriors would have the two best regular season records in the NBA in the last four years. WRONG! The Warriors have the best regular season record in the league in the past four seasons, 265-63 (.808). But the Cavs have the fifth-best regular season record in the league since the 2014-15 season, 211-117 (.643). Do you know which three teams have a better regular season record than the Cavs over the past four seasons? Following are the five teams with the best regular season win-loss records in the past four seasons. The Los Angeles Clippers are the only other team to have a winning percentage over .600 in the past four seasons, 202-126 (.616). The worst record in the NBA over the past four years? The Lakers… 99-229 (.302). The 2016-17 NBA season ended Monday night with the Golden State Warriors winning their second title in three years. Let’s close the book on this season with a few stats from the finals. 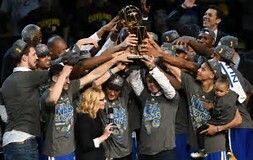 Of the 13 teams that did this prior to Golden State this year, six made it back to the NBA Finals the next year with four winning the title again and two losing in the finals. Seven of the 13 did not make the NBA Finals the following season. If we drop the points down to 30 in an NBA Finals game, West still leads this category with 12 games. James is now in sole possession of second place on this list with seven games in the NBA Finals where he scored 30 or more points in a loss. Jordan and O’Neal follow with six games each. Six players have scored 30 or more points in an NBA Finals game (win or loss), led by West with 24. He is followed by Jordan with 23, LeBron with 18, Kareem Abdul-Jabbar and Shaq with 16, and Kobe Bryant with 13. Of these six players, James has the worst record in games where he scored 30 or more points in an NBA Finals… his teams are 11-7 (.611 winning percentage) when he scores 30 or more in a finals contest. The Golden State Warriors took Game One of the 2017 NBA Finals, a 113-91 win over Cleveland. There were several storylines that punctuated this victory, but here’s a few stats you might find interesting. Golden State’s 22-point win in Game One was the eighth time in NBA Finals history that a team won the first game of the finals by a margin of 20 points or more. In the previous seven times, the team that won Game One by 20 points or more won the series five times. The two series losses: The Knicks defeated the Lakers 114-92 in Game One of the 1972 NBA Finals, but the Lakers won the series, four games to one; in 1985, the Celtics defeated the Lakers 148-114 (the largest margin of victory in a NBA Finals Game One, 34 points), but the Lakers won the series, four games to two. The Warriors had 31 assists and only four turnovers in Game One. Since 1984, it was the first time in an NBA Finals that a team had more than 30 assists and less than five turnovers in the same contest. It was only the fourth playoff game since 1984 that a team had 30 or more assists and less than five turnovers in the same game. It was the 17th time since 1984 that a team had four or fewer turnovers in an NBA playoff game. Teams are 11-6 in those games. Golden State is now 28-3 in playoff games since 2013 when they score 110 or more points in a post-season game. They are also now 8-1 in the NBA Finals since 2013 when they score 100 or more points and 7-3 in the NBA Finals since 2013 when they hold their opponents (the Cavs) under 100 points. 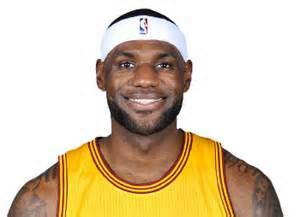 LeBron James had eight turnovers in the game. It was the fourth time since 1984 that a player had eight or more turnovers in an NBA Finals game. The last player to accomplish this feat was Manu Ginobli in 2013 when he had eight turnovers in a finals game versus the Miami Heat. 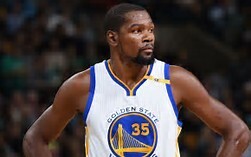 Kevin Durant had 38 points, eight rebounds and eight assists in the game. The last player to have 30 or more points and eight or more rebounds and assists in an NBA Finals game was last year when Draymon Green has 32 points, 15 rebounds and nine assists in a finals series game. Durant had zero turnovers to go with his 38 points. It was the 13th time since 1984 that a player had 30 or more points in an NBA Finals game with no turnovers. The last player to do this was Klay Thompson on June 7, 2015 when he had 34 points and no turnovers in the finals series versus the Cavs. 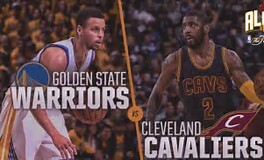 This year’s NBA Finals begins on Thursday, June 1. Here are four stats you may not know about the NBA Finals. The Golden State Warriors this year will try to avoid becoming the tenth team in NBA history to lose in the NBA Finals in two consecutive years. The last team to lose consecutive NBA Finals was the New Jersey Nets in 2002 and 2003. Here are the nine teams which have lost the NBA Finals in consecutive seasons. The Cleveland Cavs, with a finals’ series win over the Warriors this year, would become the 13th team to win back-to-back NBA titles. The last team to win back-to-back titles was the Miami Heat in 2012 and 2013. Below are the 12 teams to win back-to-back NBA titles in league’s history. LeBron James scored 44 points in Game One of the NBA Finals last Thursday in his team’s 108-100 loss to Golden State. Here’s six stats you may not know about players who scored 40 or more points in an NBA Finals game that their team lost. 1. James’ 44 points were the second most for a player in the NBA Finals in a game his team lost. Jerry West twice had 45 points in an NBA Finals game that his Lakers lost. He did it April 19, 1965 in a loss to the Celtics; he also did it one year later on April 22, 1966 in a title series game loss to those same Celtics. 2. The last player to score 40-plus points in an NBA Finals game loss was on June 19, 2012 when Oklahoma City’s Russell Westbrook had 43 against Miami in a thunder defeat. 3. A player from the losing team in an NBA Finals game has scored 40-plus points 16 times since 1964 (records from basketball-reference.com). Three players did it multiple times: Jerry West did it four times; Rick Barry and Michael Jordan each did it twice. These three players each did it twice in the same series; Barry in 1967, West in 1969 and Jordan in 1993. 4. Youngest player to accomplish this feat was Barry (23 years and 23 days)… oldest was West (30 years and 342 days). 5. Of the 16 times a player scored 40+points in an NBA Finals game loss, nine happened at home, seven in an away game. 6. The Boston Celtics were the opponent that won in four of these 16 games; Philadelphia was the opponent three times.